The Weston Creek Athletics Club (WCAC) was founded in 1978 and is affiliated with Athletics ACT. The Club’s objective is to encourage and promote athletics within the Weston Creek district and throughout Canberra generally. WCAC runs the iconic Weston Creek Half Marathon in March annually, which is a great trial for your Canberra Marathon preparation. If you are 12 years of age or older, living in Canberra, and into athletics then WCAC is definitely the Club for you. regular volunteering/officiating at track meets. 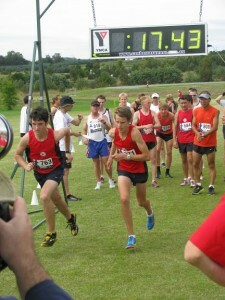 To join WCAC go the Athletics ACT website (http://athleticsact.org.au/) and specify Weston Creek as your club.